Colors of Chennai a report by Gaayathri Devi S.G.
Gaayathri Devi S.G. has been one of the talented and hard working learners of Ambitions 4. 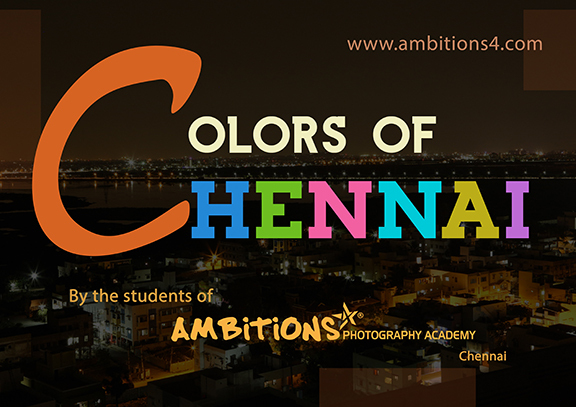 She shares her views on the ‘Colors of Chennai’ photo exhibition organised by the the students of Ambitions 4 Photography Academy in her blog. Few of her images featured in the exhibition were appreciated by the audience. Click here to know her perspective of the exhibition.